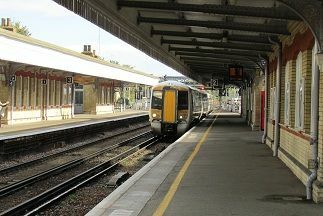 This is the first book in the series, "British Railway Trains & Stations" and covers Southern England. 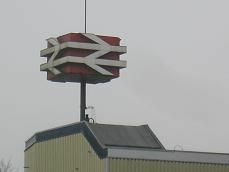 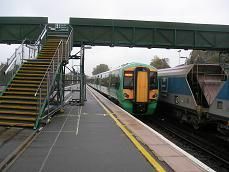 It looks at fifteen different stations in the south of England, plus the various trains that pass through these stations. 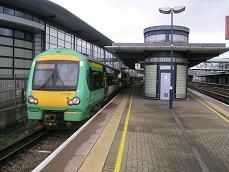 Stations included are: Southampton Central, Brighton, East Grinstead, Lewes, Ashford International and Guildford. 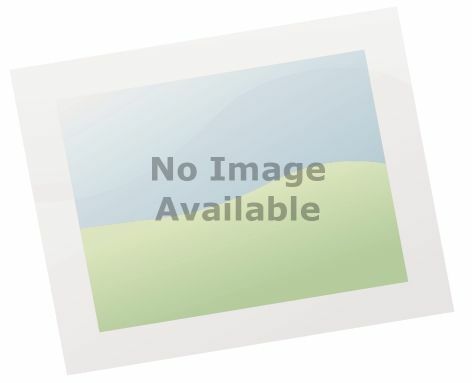 PLEASE NOTE THIS IS AN E-BOOK AND NOT A PRINTED BOOK. 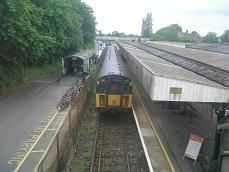 It can be downloaded to you PC, Kindle or Tablet/Smart Phone. 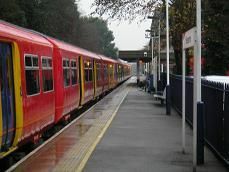 It is avaiable in three different e-book formats. 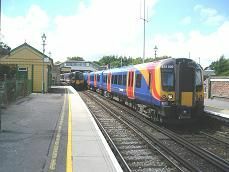 Description: The line goes south west from Ashford across the flat Romney and Walland Marshes before it reaches the South Coast at Hastings. 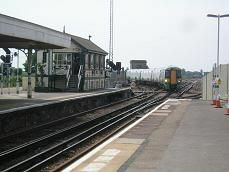 It is double track as far as Appledore, where a freight only branch goes off to Dungeness Nuclear Power station. 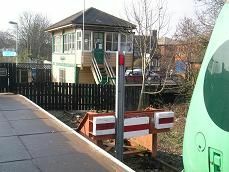 It is single track as far as Ore, with a passing loop at Rye station. 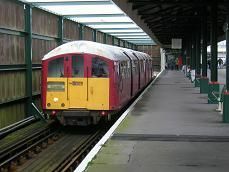 The line is not electrified apart from Ore to Hastings. 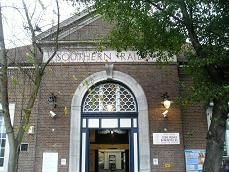 History: The line was opened by the South Eastern Railway in 1851 and narrowly missed being closed under the Beeching cuts in 1963. 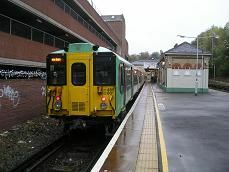 Description: A short branch which leaves the Coastway line at Barnham and goes south west to the seaside town of Bognor Regis. 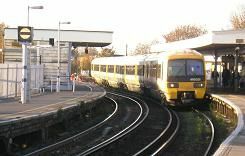 History: The main line from Brighton and Worthing through to Chichester was first opened in 1846. 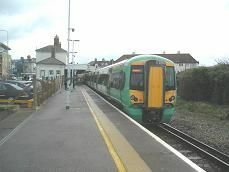 It wasn't until the 1860's that the branch to Bognor Regis was eventually opened. 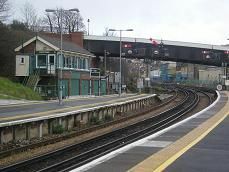 Description - This short branch starts at the magnificent station of Crystal Palace and goes eastwards to join the East Kent mainline at beckenham Junction, running parallel to Croydon's tramline. 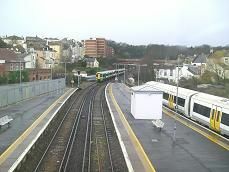 Description: This small branch line leaves the Coastway Line from Brighton to Portsmouth at Ford and travels across some scrub land until it reaches Littlehampton on the estuary of the river Arun. 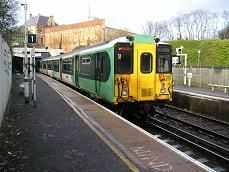 History: The main line from Brighton and Worthing through to Chichester was first opened in 1846. 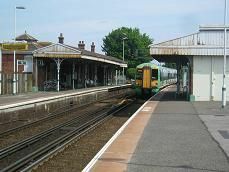 It wasn't until the 1860's that the branch to Littlehampton was eventually opened. 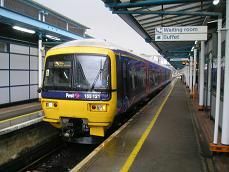 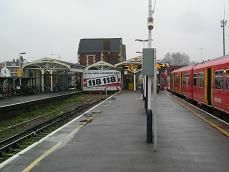 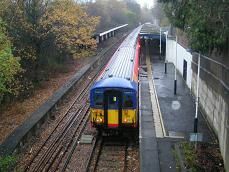 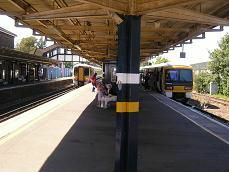 Description: This very short branch line leaves the main line from London to the Kent Coast at Grove Park and continues into the heart of Bromley, where it terminates at Bromley North station. 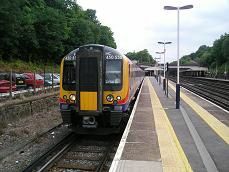 Description: A cross-country line whcih moves north-westwards through the Surrey and Berkshire countryside round the south-western edge of London from Guildford to Reading. 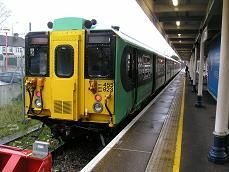 Description: A pleasant country branchline through the Surrey countryside south of the North Downs. 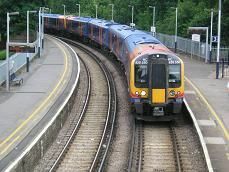 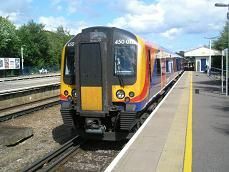 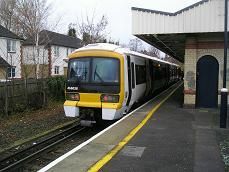 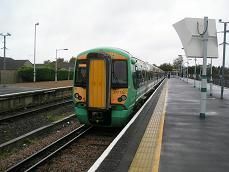 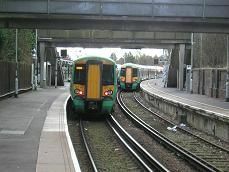 Description: This branch leaves the mainline to Epsom soon after Motspur Park and continues south through the outer London suburbs before it reaches the end of the line at Chessington South. 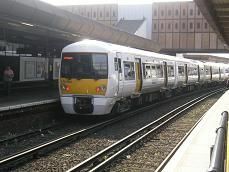 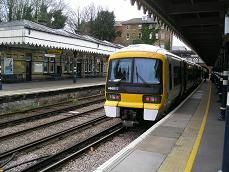 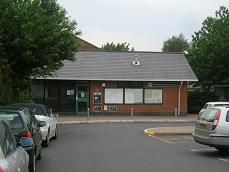 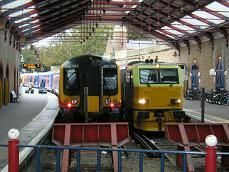 Description: a short branch line of around five miles which goes through the outer London suburbs to Caterham in Surrey. 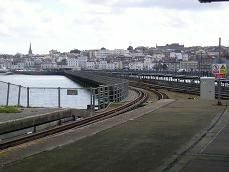 Description: The only surving national railway track on the Isle of Wight goes down the eastern side of the Island to Shanklin. 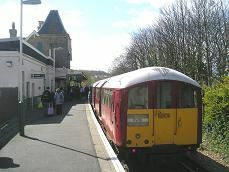 History: Originally there were over 50 miles of railways on the Isle of Wight, with this line going to Ventnor. 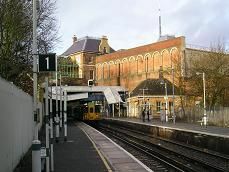 It was first opened in 1864 from Ryde St John's Road to Shaklin. 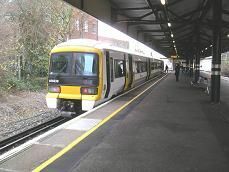 Description - A very picturesque line which winds through the Kent and Sussex countryside to Uckfield. 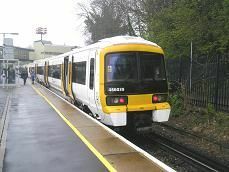 History - Originally this line went all the way to both Eastbourne and Lewes. 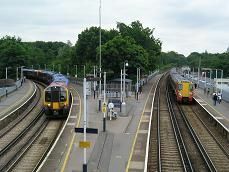 Description: This is a branch line of two halves - the first half from Strood to Maidstone goes through some industrial lanscapes, whilst the second half from Maidstone to Paddock Wood goes through some picturesque Kent countryside, all the time following the course of the River Medway. 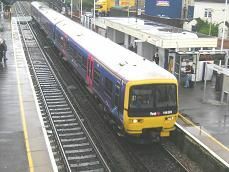 Description: This short branch line leaves the Waterloo to Southampton main line soon after Surbiton and continues north to terminate next to Hampton Court Palace.